I am bumping this up because I think it's important. 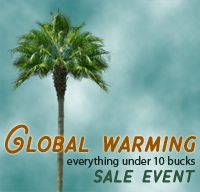 This was originally published on my blog on July 8th, 2008! // The car owner is an Object object. So a function is really a Function object, or Function instance. It doesn't have a name. Does not. It has a list of arguments (could be zero, one or more arguments), and it has a body, that is, some code to execute. Really, 'outputText' is not the name of any function; 'outputText' is a property of the window object, to which we are assigning a Function instance. Function instances can be assigned to properties — and they can also be used as parameters. Assigned they can be, but they have no name. They only have arguments and a body, that's it and all. The following drawing shows the divide that exists between the Object that references a Function instance, and the Function instance that's referenced. The function acts as a method of the Object, yes, you could say that, but it really is not a method, because it does not belong to the Object per say. It lives outside of it. You want proof that our no-name Function instance does not belong to our car object? Let's assign a String instance to car.whoOwnsMe right now. The car.whoOwnsMe property used to point to a Function instance...? Not anymore. We can reassign to the car.whoOwnsMe property whatever value our whims dictate, such as: another Function instance, a String instance, a Number instance, whatevah and whenever. But it is just some Function instance temporarily or permanently assigned to a named property of some object. It is a property among many. It is not really a method. It can act as if but it is not. It's all an act. Do not be fooled. So let's recap: an Object object is an unordered collection of named properties. To these properties are assigned values. These values are object instances of different types. These types can be: Object, Function, String, Number. In the life span of an object, we can re-assign new values to the object's properties — although common sense would suggest that we avoid this. Last edited by Caroline Schnapp about 8 years ago. value, and the value is always an object. It can http://e-papierossy.com.pl/en/e-papierosy/70-e-papierosy-gombit-54246.html be an Object object, it can be a String object, a Number object... or it can be a Function object. Thank you for taking the time to post your positive feedback! 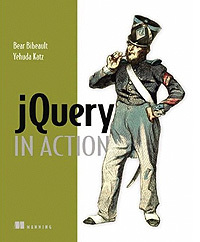 Just wanted to say that 'jQuery in Action' 2nd Edition is out in a few months (around about April I believe) and will cover jQuery 1.4 - jQuery 1.4 is due a final release on the 14th of January. I suspect the contents of this post are not a direct copy from the book but rather your rendering of the concepts? If so, you have a gift. The way you express yourself and provide access to concepts with clear explanations and examples is a rare talent. Thanks for posting, you've made my day a little easier which I'm sure will care forward into the weeks to come. PS - I'm in the middle of writing my first module, you've cleared up a few crossed wires for me. Yes, this is my own take.. Yes, this is my own take, that is, my own wording, organization and sample code. That's how I learn: rephrase, expand, try out stuff. That's how most people learn. Method Belongs to Object !!! I quote, "In the life span of an object, we can re-assign new values to the object's properties — although common sense would suggest that we avoid this." You never explained the reason why we should avoid this. There are countless of reasons to change the value of a property. your comment, let me know. There are plenty of errors in this article. I have to wake up in 5 hours, so please forgive me if I sound harsh. console.log('value of numLetters: ' + numLetters); // prints 'value of numLetters: undefined' !!! Hence var s = 'abc' is NOT the same as var s = New String('abc') . The latter is explicity creating a wrapper object. That is very rarely desired, and in fact, as shown above, could broke your type checks and comparisons. And, by all means, var s = 'abc' is NOT an object Literal! Sorry for the broken English (it's so late! ), and for being so critic. Even with Ismael's corrections, what you wrote really helped me to understand this better. Have bookmarked your page. First learned js about 12 years ago, so this is a refresher for me. Several buses are available near Twin Fountains EC along with shopping centers and restaurants. Twin Fountains EC is also near Causeway Point as well as Woodlands Waterfront. Entertainment for your loved ones and friends are therefore at your fingertips with the full condo facilities as well as the amenities near Twin Fountains EC. yeah well thats right in java script everything ids always in property-of-an-object, infect you can say every thing ids revolved around the object ,well its nice i really like the as you have just told us with example. This looks absolutely perfect, Really its remarkable. You have some great content but are getting lots of none relevant comments here too. I really like in a site, very informative, no waste of time on reading. Future residents will be able to walk to Jurong East MRT Station which is located right beside it. Also, nature awaits your family and friends at the Jurong Lake Park and the Jurong Country Park. Also, the ultimate nature awaits you the Japanese Garden. Coral Edge Residences has full and unique facilities, which includes a guard house, clubhouse, Function Room & Indoor Gym Tennis Court, 50m Freeform Pool Pool Deck, Wading Pool, Splash Pool & Family Pool Jacuzzi & Hydro Spa, BBQ Area Dining and Play Fountain, Fitness Alcove & Children’s Playground and Garden Trail. The condo’s facilities provide full family entertainment needs for your family and loved ones. Indulge in a serene and tranquil lifestyle right in the heart of Punggol. A very wonderful blog post. Great revision for Java Script. I was exactly searching for this. Thanks for such post and please keep it up. Great work. Thanks for your article. It helps me better to understand the real definition of Function instance. well i think you are right. I really appreciate the topics you post here in your article. Please keep on writing as I want to learn more from you. Thanks!!! It would work for a property name that contains a space, a dot, or even for a property name that is computed! Your article gives me much more useful information. Thanks for your help. Some other readers may find this useful too. The increase of Canada goose jackets different designs and styles of Monocle personalized items is unstoppable. 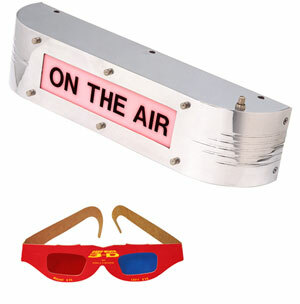 From very small and simple items to huge and elegant ones are can be engraved, embroidered and monogrammed. The post should have magnificent guidance on this important matter. I am always searching online for this article, looking forward to another great post. Also, nature awaits your family and friends at the Jurong Lake Park and the Jurong Country Park. Also, the ultimate nature awaits you the Japanese Garden. This is not true. The following two snippets of code are treated differently. great ! this blog is great !